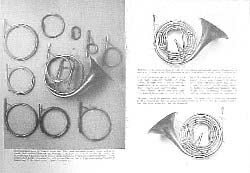 This book recounts the history and development of the French horn throughout its musical history. It describes the three main stages of its development: the hunting-horn type, blown with the bell in the air, as used by Bach and Handel; the hand horn, written for by Mozart, Haydn and Beehthoven, which is now being revived by many early-instrument orchestras; and the valve horn, familiar today, but which has gone through many stages since the early nineteenth century. It describes how horns are made and how they work. 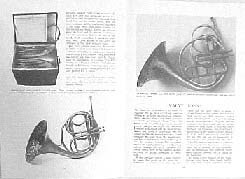 The book is illustrated with many photographs from the greatest collection of horns in Britain, initially formed by Reginald Morley-Pegge and presented as a memorial by his son to the Bate Collection in Oxford. The man who defined symphonic horn playing, as seen through his writings and the comments of his students. Mr. Kaslow's objectivity, his courage with his subject, and his enormous love for the horn are vividly expressed through the relationships between Man, his Horn, and the Universe. The personal and pedagogical recollections of thirty-one of his colleagues, students, and friends.